Cuba is the largest island in the Caribbean and has a population of over 11 million. This island nation is multi-ethnic, has a very long and fascinating history and possesses an intensely rich culture. Rum, cigars, old cars and the intoxicating rhythms of Cuban music come to mind when Cuba is mentioned, but there is much more to explore, see and experience on this beautiful and captivating island. Most visits to Cuba begin and end with the capital city of Havana. 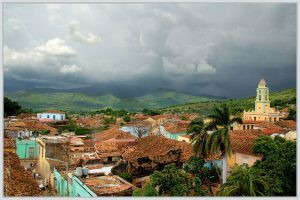 Located on the northern coast of Cuba, the city is located around a natural bay, extending westward and southward. Havana Bay splits into three harbors and is entered through a narrow inlet overlooked by the fortifications of Castillo el Morro on the east and Castillo de la Real Fuerza and San Salvador de la Punta Fortress on the western side. 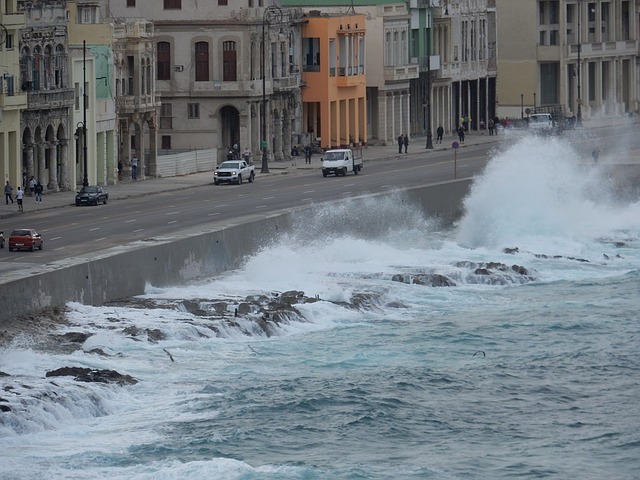 The Malecón, a five mile long sea wall, esplanade and highway stretches westward along the water’s edge, sprayed by crashing waves on one side and lined by the yellows and pinks of old colonial architecture mixed in with newer construction on the other. The Malecón is both a main artery of the city of Havana, attracting fishermen, street vendors and musicians and a spectacular sight, particularly at sundown, just before it comes to life with music, dancing and laughter, bathing its colorful facades in a warm glow of light. 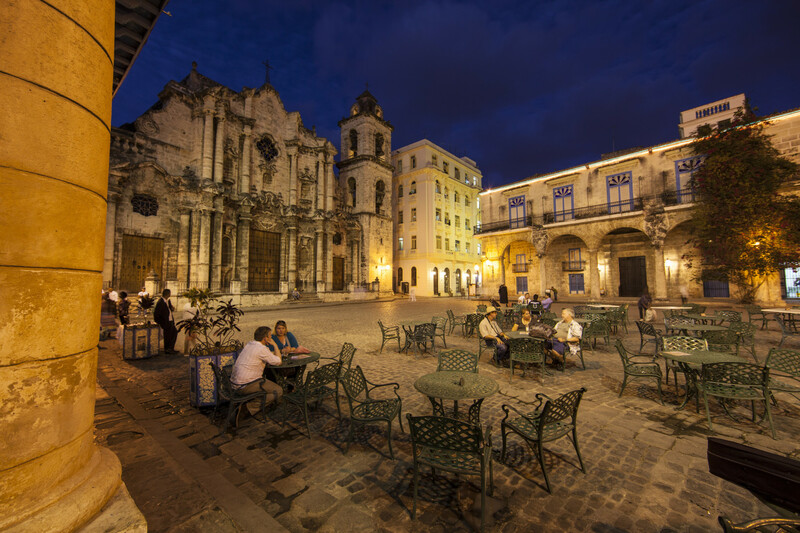 Havana, with its beautiful plazas and narrow alleys, is best explored on foot. The asymmetrical baroque Havana Cathedral, otherwise known as Catedral de San Cristobal, is in the oldest part of the city, Habana Vieja. Built in 1777, the cathedral is located on the northern end of the Plaza de la Catedral. 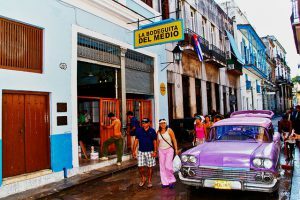 From there, you are close to many restaurants and small cafes, as well as the City Museum, Museum of the Revolution, Havana Club Rum Museum and the Tobacco Museum. The Plaza Vieja is completely restored and is another great place to sit at a table, people watch, and take in the view. The National Capitol Building, El Capitolo, is modeled after the US capitol and can be visited. Or, just find a place to sit on the steps and watch the continuous stream of old American cars drive by. Close by are the bar El Floridita, the Cuban home of the daiquri cocktail, and Bodeguita del Medio, the home of the mojito, both frequent haunts of Ernest Hemingway. Other sights in Havana include the Plaza de la Revolución, a heavily touristed square with a statue and monument of Jose Marti, the legendary Hotel Nacional on the Malecón, and, of course, for live entertainment, the Tropicana, which continues to operate to this day. 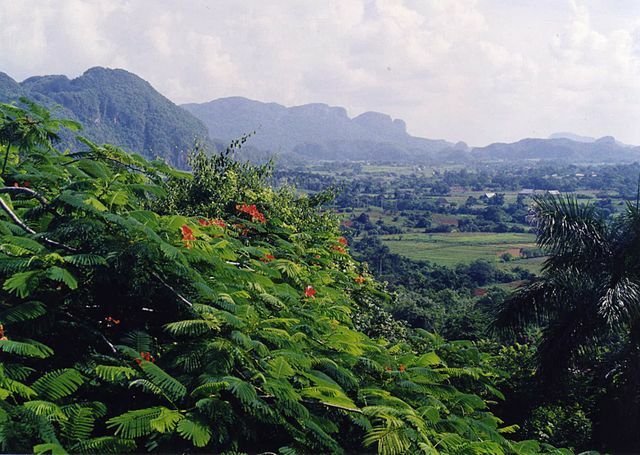 As a contrast to the city, Viñales offers an introduction to small town life in Cuba, as well as a chance to tour the tobacco fields. 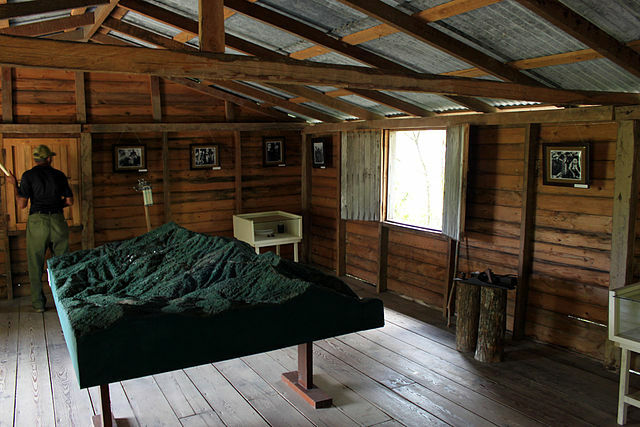 The best tobaccos, used for the famed Cohibas and Montecristos are cultivated in this valley. Hiking, caving and horseback or bicycle riding offer the opportunity to enjoy the natural beauty of this part of western Cuba. The town is distinguished by colorful old wooden houses and has a regional museum as well as the orchid and palm filled botanical gardens. 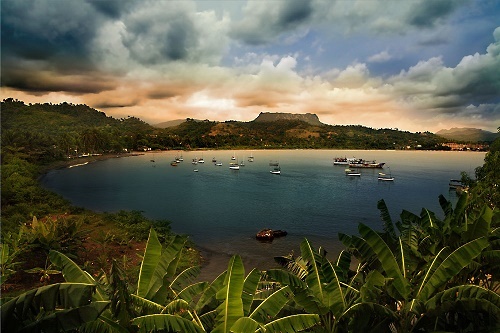 The hometown of Benny Moré is often referred to as the ‘Pearl of the South’. This seaside town was founded in 1819 by French immigrants, whose cultural influences and elegant architecture remain discernible to this day. The Bahia de Jagua is the most beautiful natural bay in the country. Visit the art galleries on the Plaza de Armes, stroll through the city and along the promenade or make a side trip to the El Nicho waterfalls and enjoy a swim in its beautiful pools. The beautifully restored historic city of Trinidad was a smuggler’s backwater from 1514 into the late 18th century, when a sugar boom brought wealth and prosperity as well as beautiful mansions, ornate churches and grand colonial buildings. The city’s old town is a UNESCO heritage sight, whose cobblestone streets and colorful houses can only be explored by foot or by horse drawn carriage. The Museo Romantico has a great view over the city, while the Plaza Mayor offers churches and galleries to explore. 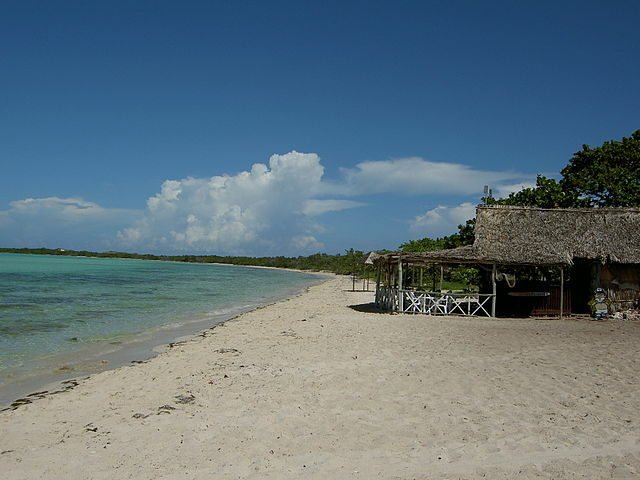 The nearby Playa Ancón is among the best of Cuba’s white sand beaches. Music is central to life in this city and the Casa de la Musica is the destination for drinks and dancing the evening away. Another choice is the Disco Ayala, located in a cave that was once an army hospital. 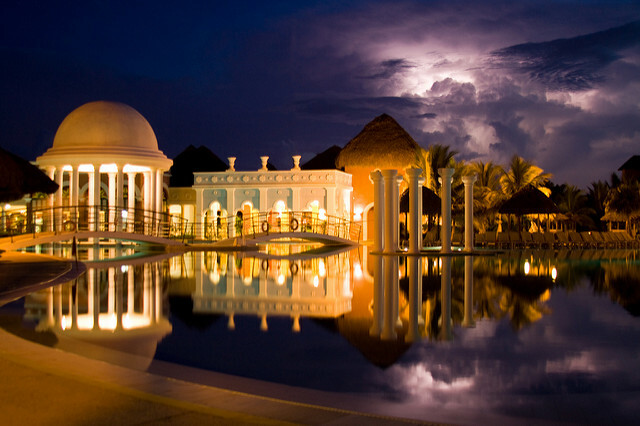 Located on the north coast, the narrow Varadero peninsula is the place to go for all inclusive mega hotels, golden beaches with swaying palms and stress free poolside vacationing. It is however, more touristy and less authentic in character than elsewhere. 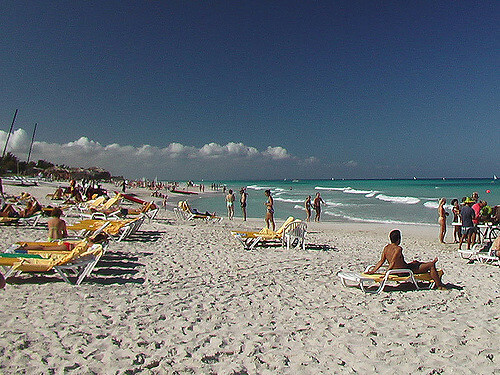 With over 60 hotels, caves to explore, 12 miles of sandy beaches and a nature reserve, there is plenty to do in Varadero. 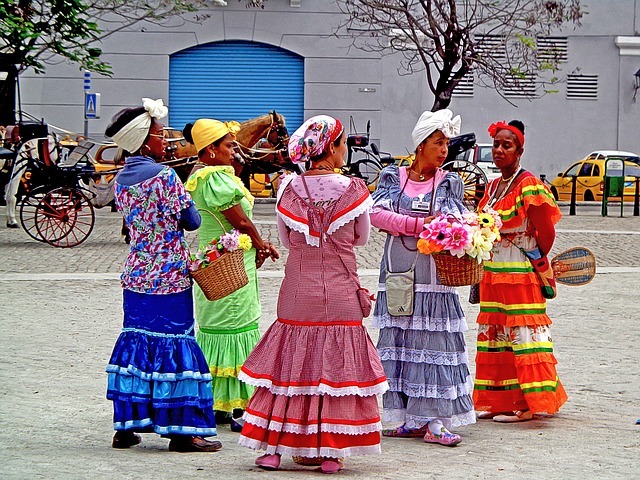 Santiago is Cuba’s ‘second city’ and is described as being the heart of Cuba. Well known for its musical life and traditions, many of Cuba’s most esteemed son musicians hail from the area. It is also the home of the Revolution. It was from a balcony of city hall on the impressive Parque Cespedes plaza that Fidel Castro proclaimed the triumph of the Revolution in January 1959. There is a strong creole influence in this beautiful city and the many palaces, museums and mansions offer the visitor much to see and experience. The compact city center is walkable, though very hilly. The San Pedro de la Roca del Morro fortress guards the harbor entrance and offers tours and magnificent views. A stop at the rum museum will offer displays about the history and process of rum making in Cuba, plus a shot of Santiago de Cuba rum. And finally, the Casa de la Trova should be at the top of one’s list for an authentic Cuban musical experience. This isolated beach destination is located in the archipelago of Sabana-Camaguey, off the northern coast of Cuba. 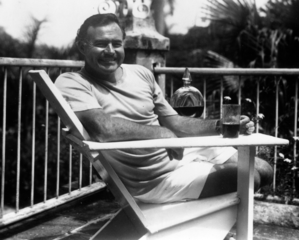 For Hemingway fans, it is featured prominently in his Islands in the Stream and The Old Man and the Sea. World class white sand beaches and coral reefs as well as pink flamingo colonies make this a memorable off the beaten path destination. 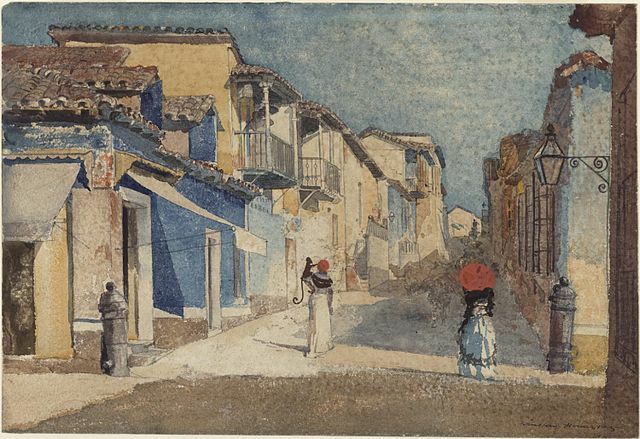 This historic university town was the location of the last battle led by Che Guevara in 1958. 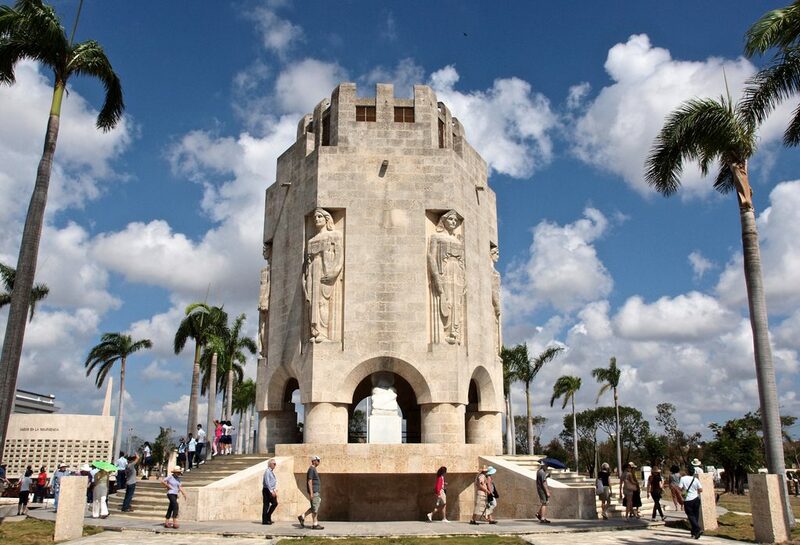 For those intrigued by Cuba’s modern history, the mausoleum, monument and Museum of the Revolution are top destinations. 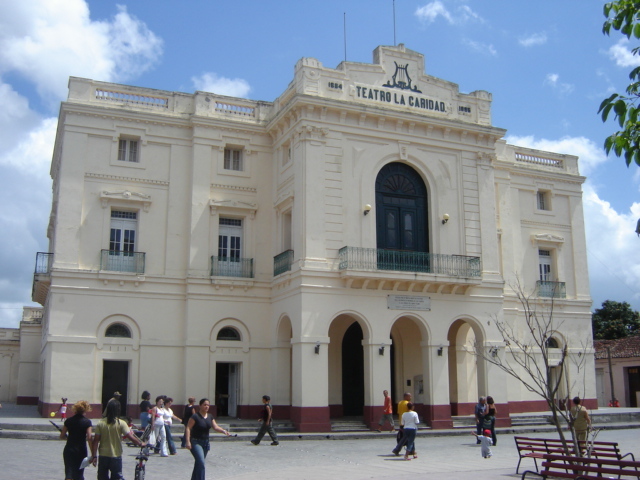 There is also a beautifully preserved theater, the Teatro de la Caridad. 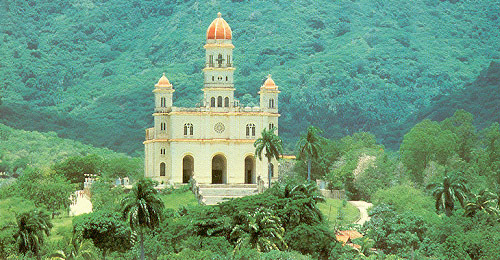 The largest mountain range is the Sierra Maestra located in the southeastern part of the island. The highest point on Cuba is Pico Turquino, at 6,465 feet. 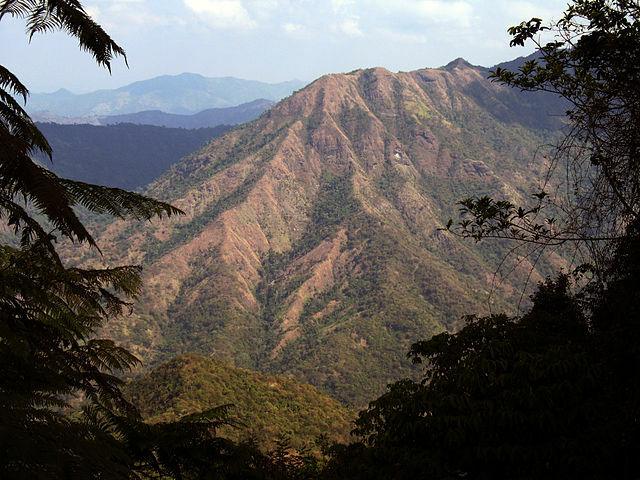 The peak is a challenging hike, but there are guides available and refuges along the way. The Sierra Maestra are known not only for their beauty, but as being a refuge for revolutionaries and rebels throughout Cuba’s history. 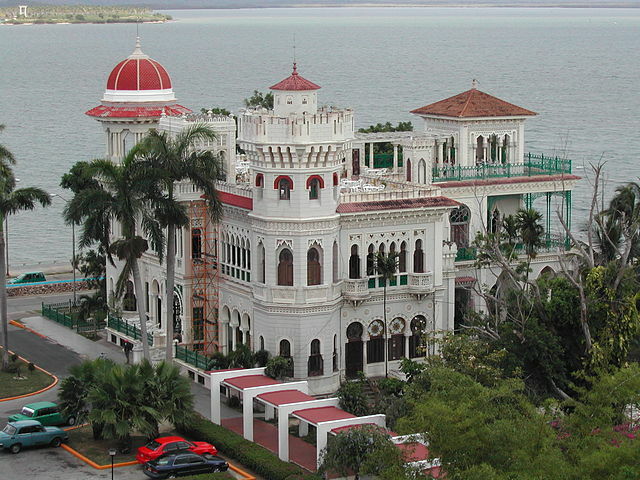 Castro’s secret base, the Commandancia de la Plata is located within the Turquino National Park. One can visit the huts, dormitories, headquarters, hospital that were part of the rebel complex, as well as an on site museum.